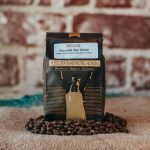 Brazil Fazenda São Bento - Old Soul Co. - Old Soul Co.
A sweet and balanced cup featuring flavors of milk chocolate, plum, and nuts with a heavy body. 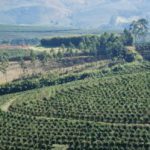 The Sao Bento farm was first planted with coffee back in 1899 by relatives of the now owner Luis Carlos Gomes. 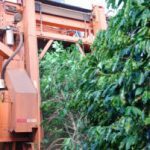 Over the past century plus, the farm has grown to a whopping 1,400 hectares and now produces almost 6,000 bags of coffee annually. The farm is managed by 30 full-time workers and their families who are each responsible for a specific part of the farm. For their reserve lots, each pick is individually tracked by day and growing location on the farm and dried on patios, raised beds, or in greenhouses. 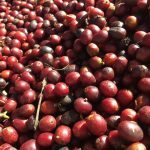 Recently the farm took 2nd place in the 25th annual Minasul Quality Coffee Contest. In addition to quality coffee, the farm has a 25 hectare biodiversity plot filled with native plants and numerous wildlife including tapirs and armadillos! Our Brazil Sao Bento is a 2018 Golden Bean Silver Medalist in the Single Origin Espresso category! 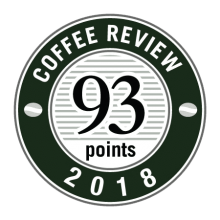 We're proud to share Coffee Review's 93 point rating, read more about our rating and other Brazilian coffees below.